WARNING: This part is designed to be used with a product that operates with one of the following fuel sources: liquid propane, natural gas, wood, or wood pellets. This product and the fuel used to operate this product, and the products of combustion of such fuel, can expose you to chemicals including benzene, which is known to the State of California to cause cancer and reproductive harm. For more information go to www.P65Warnings.ca.gov. 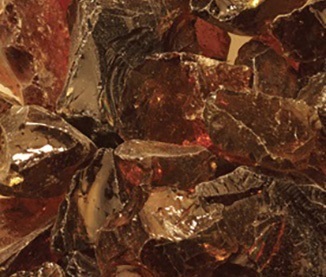 This Monessen Fireplace Glass Media is designed for Palazzo fireplaces and provided in a stunning color you'll appreciate. Made to accent the burner of the Palazzo 48 fireplace series, this product includes multiple media kits that can be used as is or mixed and matched for a highly decorative flair. Whether your style is subtle or has a bit of extravagance to it, there's a proper utility of this product for your tastes.